Panel discussion called "Zooming" was held at the Sava Center on Saturday, 24th February 2018. 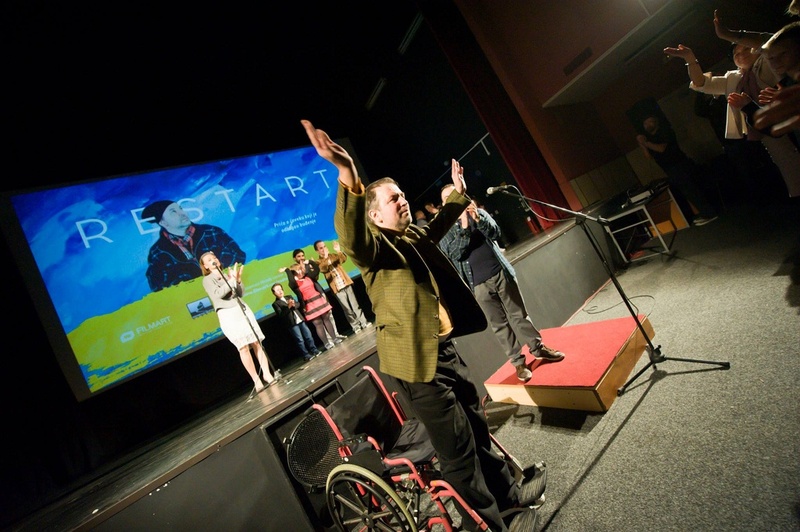 The topic was the achievements and challenges that people with disabilities meet on a daily basis and the people who took part were: Milesa Milinković – managing director of the festival "Seize this day with me / Seize the film", Sandra Silađev, Marta Fiš, Miljana Nešković and Gorica Regodić – "Reality in a wheelchair" film crew, Marko Novaković – "With my eyes wide open" documentary film director and Dejan Petrović – "Restart" film director. 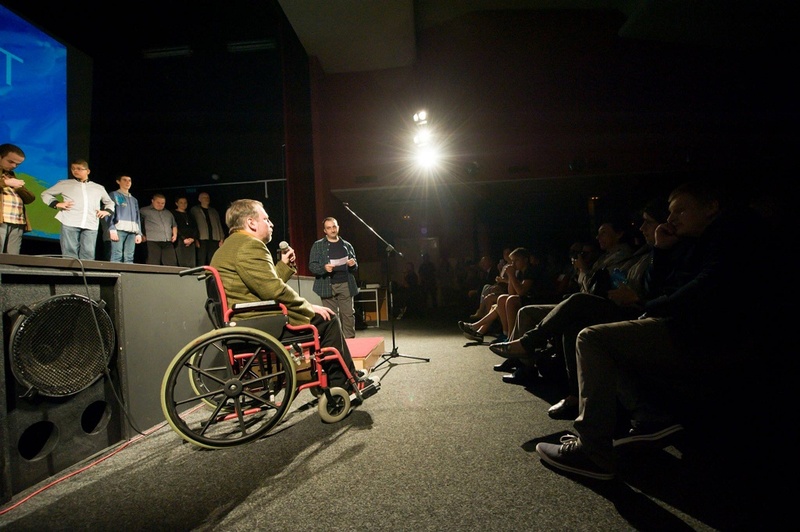 The moderator was Lana Nikolić, a Radio Belgrade 202 journalist, who pointed out that filmmakers rarely deal with this subject and when doing so, they usually show a disabled person in a wheelchair or make a handicap obviously visible not exploring the subject any further. 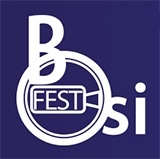 At the closing ceremony of the 7th international film festival BOSIFEST, on Friday, June the 3rd, at the Belgrade Youth Center, film “Restart” by Dejan Petrovic won the award for the best screenplay. An Irish film “Retina” by Darko Dragicevic won the award for best directing. The jury (Nebojsa Bradic, Ivan Karl and Vladan Vukosavljevic) awarded a Spanish film, “Gabor” by Sebastiana Alfie, the best film of BOSIFEST. 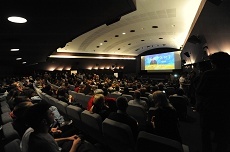 From the 250 film that were applied, in the competition program, there were 22 films from Germany, Spain, Great Britain, USA, France, South Korea, Argentina, Netherlands, Poland, South Africa, Belgium, Ireland, Russia and Serbia. and apart from “Restart” there were two other domestic films, “Pogled zatvorenih ociju” by Dora Filipovic and “U medjuprostoru” by Masa Sarovic. 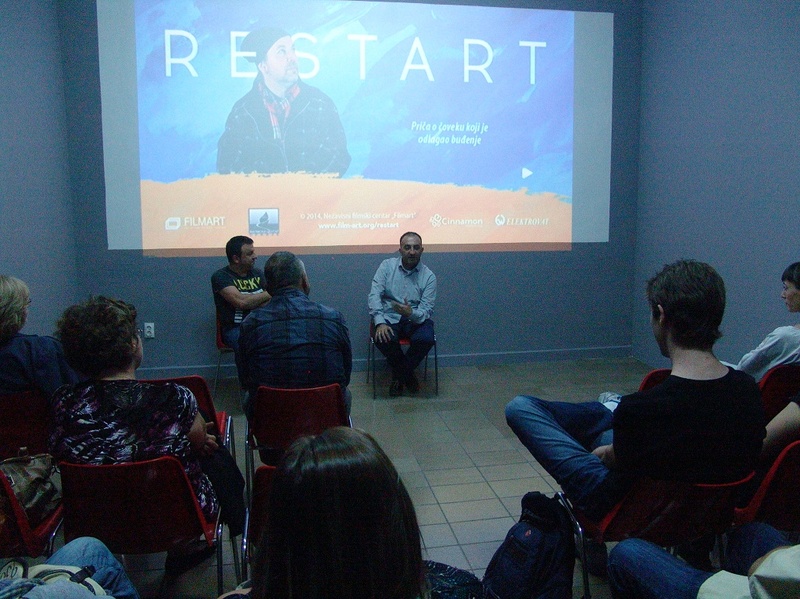 Film "Restart" was screened on the 14th of September, 2015 in the "Risim" gallery in Cacak, within the "Film act- engaged cinema" programme. 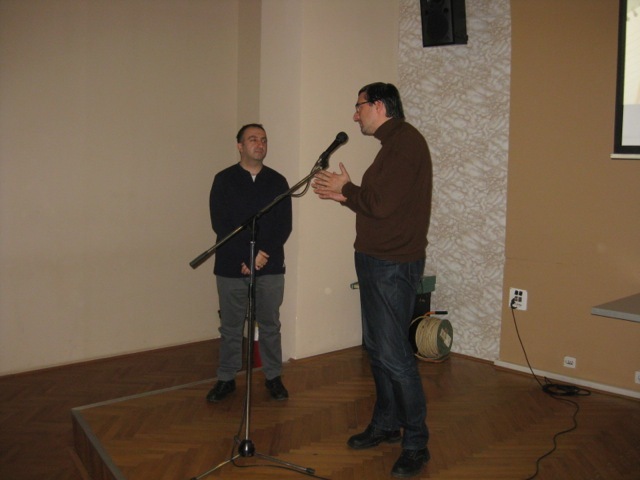 After the screening, there was a Q&A held with Dejan Petrovic - the author of the film. 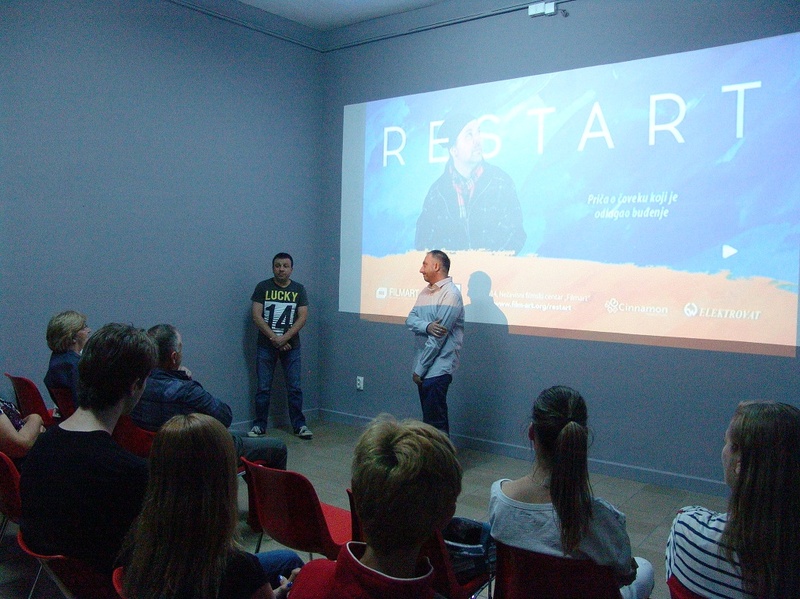 On Saturday, September the 12th, as a part of the closing night of this year's DOCUTAH International Documentary Film Festival, film ,,Restart" by Dejan Petrović was shown. 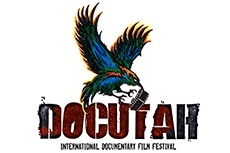 From 400 films from 32 countries, "Restart" was chosen to be one of the 76 films that were shown in the competitive programme of the DOCUTAH film festival that was held from the 8th to the 12 th of September in St. George, Utah, USA. 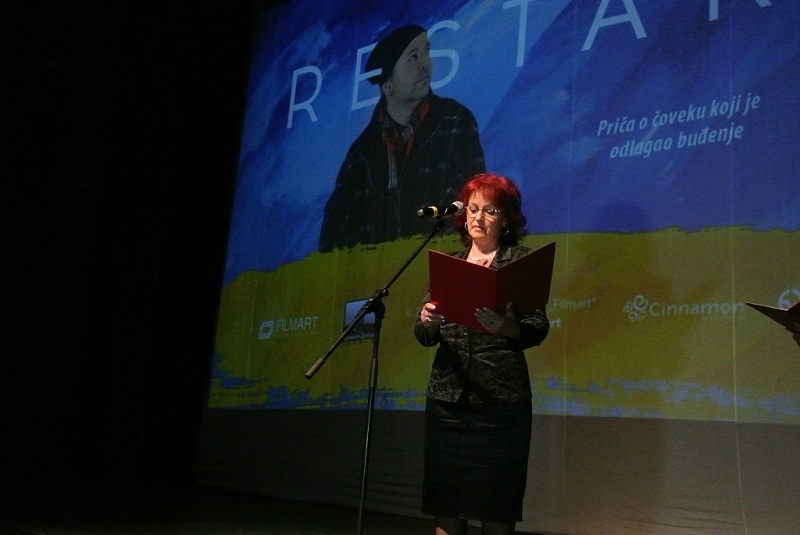 Film “Restart” by Dejan Petrovic won a Bronze night, an award in the category of short documentary film, on the 24th “Golden night” festival that took place in Sevastopol, from the 22nd to the 31st of May, 2015. 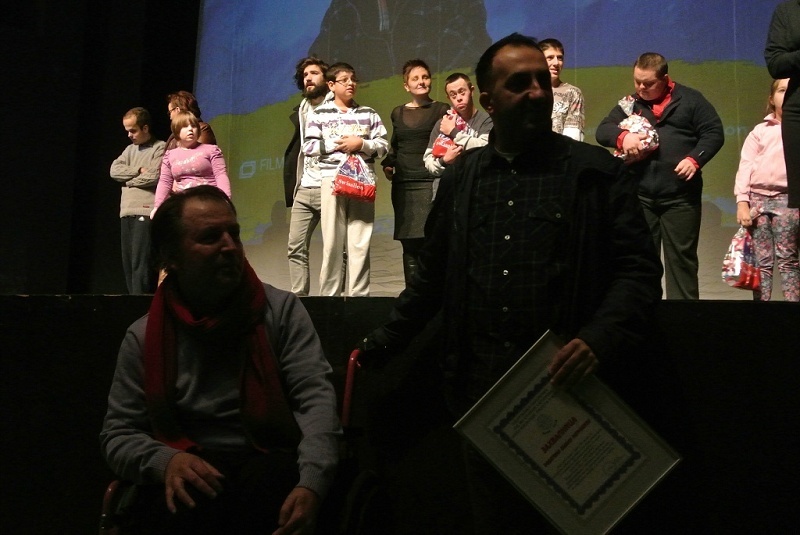 Film “Healing” by Ivan Jovic won the Golden night in the category of fiction film, while Zelimir Zilnik ( “Logbook Serbistan”), Vladimir Tagic (“Emergency exit”) and Branko Stankovic (“The evil was stronger”) won certificates. There were 170 films screened in 6 categories on this year’s festival - fiction, feature documentary, short documentary, animated, student and children’s films. 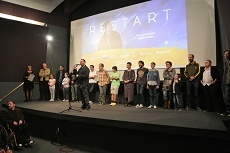 There were 43 films screened in the short documentary film category, including the awarded film “Restart” , while “Healing” was awarded best fiction film in the category of 14 films. 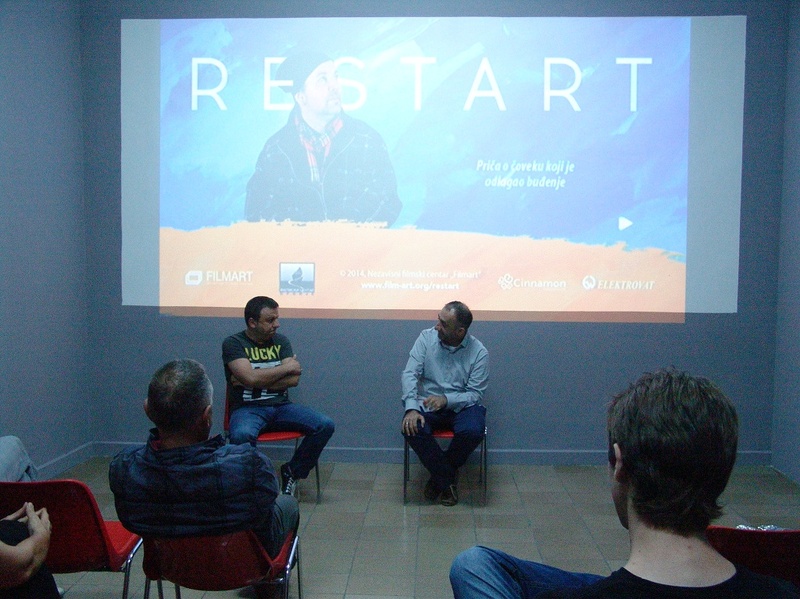 Film “Restart” was screened in Washington’s Avalon movie theatre on Thursday, 28th of May, 2015 at 8 p.m. 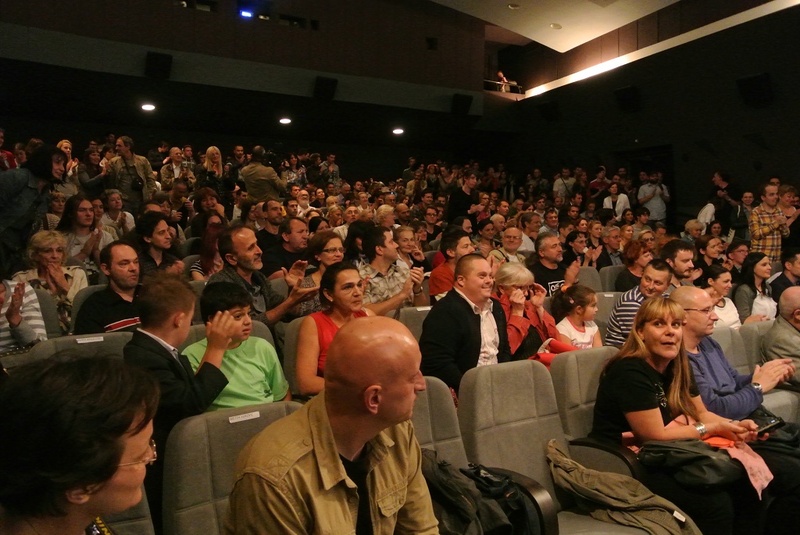 The film was screened due to an invitation from The Orfelin Circle, which are the organizers of the 6th Festival of Serbian contemporary short and documentary film. 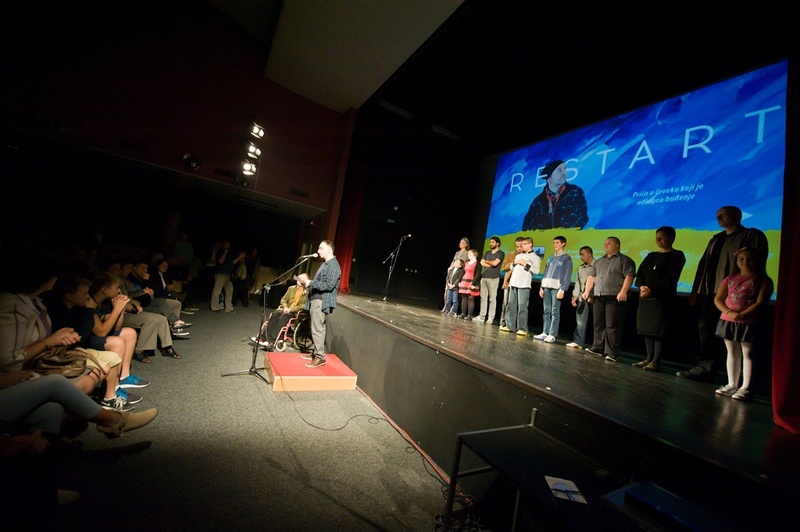 Apart from “Restart”, nine other documentaries and short fiction films were screened, all of them awarded at this year’s Belgrade festival of documentary and short film („Veče uz rаdio“ by Milos Tomic, „ In the dark“ by Gorаn Stаnkovic etc.). 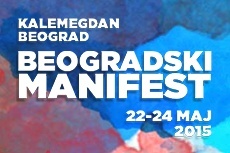 On Sunday, May 24th 2015, Film “Restart” by Dejan Petrovic will be screened within the “Belgrade manifest”, the first big festival of manifestation, destination and degustation, in the upper part of the Kalemegdan fortress. 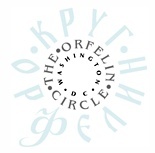 The festival will present Serbian cuisine, truism, music, dance, film art, etc. through 15 sections, from the 22nd until the 24th of May. 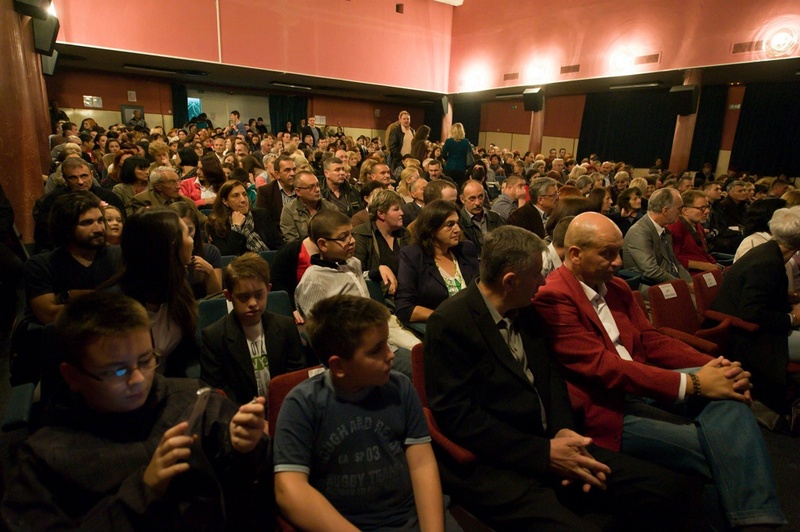 In the section “The movie cinema is working again”, 12 films awarded at this year’s festivals-FEST, The festival of author film, Palic film festival, Cinema city, Kids fest, Belgrade festival of documentary and short film, Festival of screenplay in Vrnjacka Banja and the Film festival in Herceg Novi will be screened, whilst the festivals are going to be presented before the screenings. 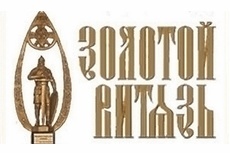 Apart from domestic production, that include the documentary “Restart”, and a feature film “No one’s child” by Vuk Rsumovic, film enthusiasts will get the chance to see film that were popular on domestic, but also festivals around the world: Leviathan (Andrey Zvyagintsev), Tourist (Ruben Estlund), White God (Kornel Mundruco), Miracles (Alice Rorvaher), Wolf (Nadgi Abu Novar), Winter sleep (Nuri Bilge Ceylan) and Wild tales (Damijan Shifron). The youngest visitors will also get the chance to enjoy kid’s films: Bella and Sebastian, Cat in Paris and Ernest and Celestin. This festival is special due to the fact that the screenings are held outdoors, in the form of “Silent movies”. Programme of the Festival is available here. 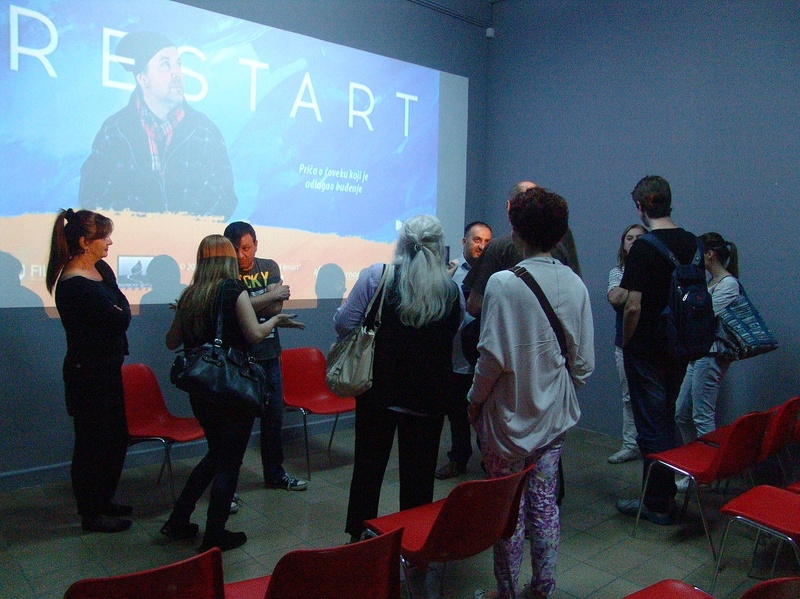 Documentary film Restart, by Dejan Petrovic, was screened within one of the most important film happenings in Croatia, The days of Croatian film, on Friday, the 24th of April, 2015 at 5 p.m. in Kino Tuskanac, Zagreb. 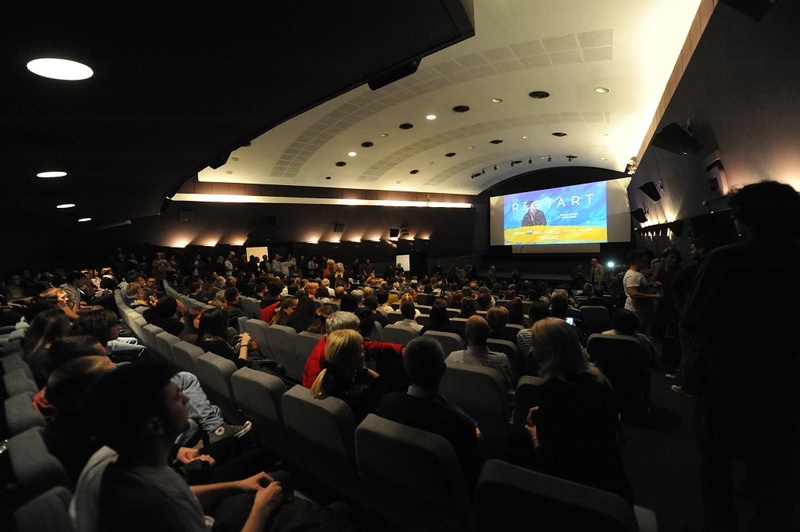 Apart from representing the current film production in Croatia, a selection of awarded films from the 62nd Belgrade festival of documentary and short film was screened in the accompanying program. 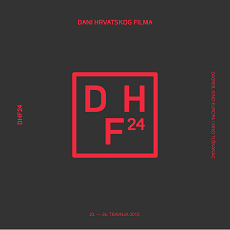 Apart from Restart, documentaries Gadan sapun by Violeta Goldman, Lepi vazduhovi by Vladimir Perovic, Majstor by Predrag Bambic, and a short fiction film Crtani by Dusan Babic will be screened within this programme. 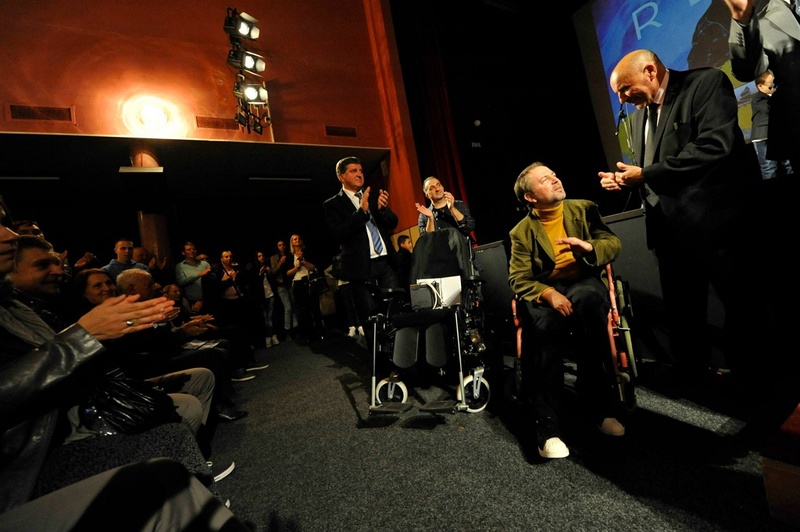 On Sunday, March 29th 2015, with an official announcement and the prize-giving ceremony, the 62nd Belgrade festival of documentary and short film ended. 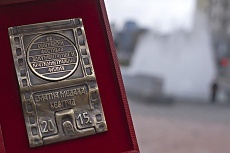 Dejan Petrovic won the Golden medal of Belgrade for the best screenplay. Apart from the best screenplay award, there were also awards given out for best directing, editing, cinematography, sound design, music and production. The Golden medal of Belgrade for the best documentary feature was awarded to Zelimir Zilnik (“Logbook Serbistan”), for the best medium length film to Goran Stankovic (“In the dark”) and for the best short documentary film to Zelimir Gvardiol (“The roots of evil”). Documentary film “RESTART” by Dejan Petrovic was screened in the competition programme of Belgrade festival of documentary and short film on Wednesday, March 25th, 2015 at 8 p.m.
After the screening, the audience were, through a conversation moderated by Ivan Velisavljevic, acquainted with, apart from the director himself, Vojin Ristovic- the composer, Nikola Cvijanovic- the sound designer, Darko Babic and Sladjana Petrovic Varagic- the protagonists of the film. 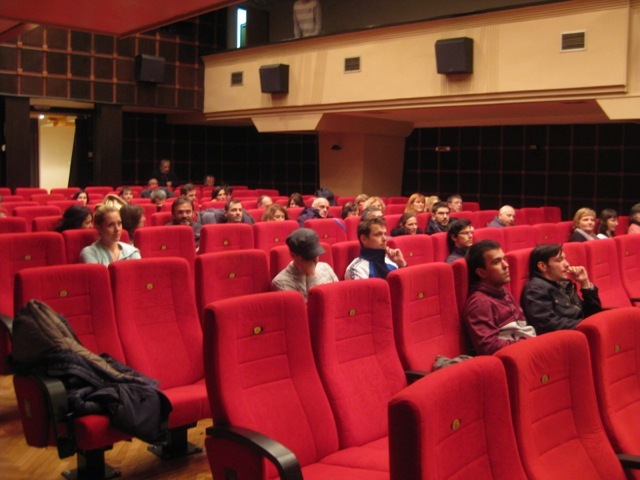 Film Restart was screened in the Cultural Center of Novi Sad within the SHOW OF FILM WINNERS ON THE SERBIAN FILM CENTER CONTEST on Wendesday, december 17th, 2014. at 7 p.m.
Apart from the documentary film Restart, other films were screened including: the animated film Šešir by Ander Janevski, short fiction film Bakica hoće kući by Bojana Starcevic. 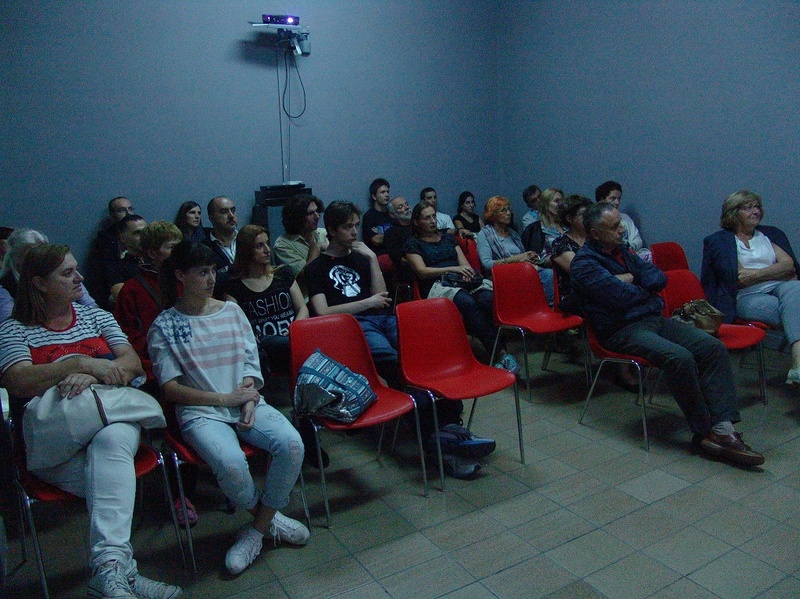 After the screening, directors of the film Dejan Petrovic and Bojana Starcevic talked to the audience. 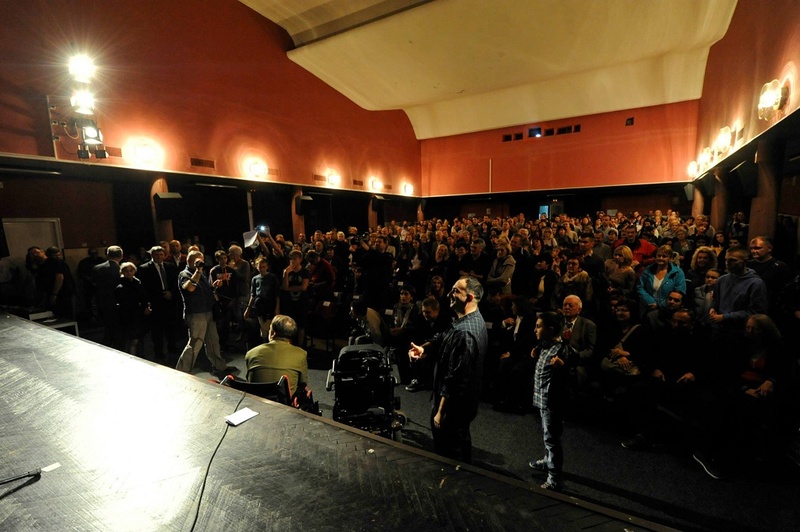 The Show is organised by the Serbian Film Center along with the Cultural Center of Novi Sad. 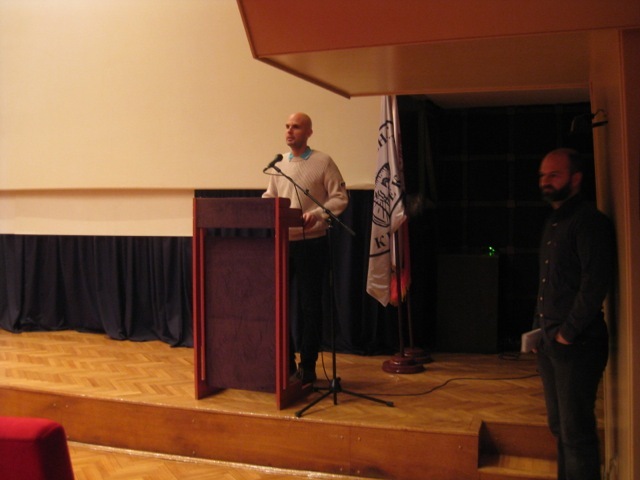 With the aim of promoting documentary, short fiction, animated and experimental films, Serbian Film Center organized a SHOW OF FILM WINNERS ON THE SERBIAN FILM CENTER CONTEST in association with it’s partners, in several towns all over Serbia. 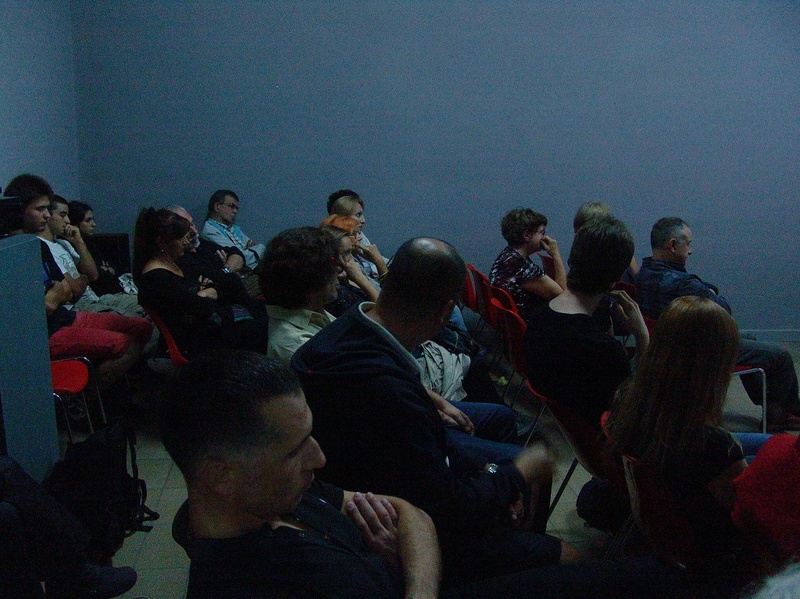 Apart from Restart, documentary films Milica by Dragan Elcic, Koreni zla by Zelimir Gvardiol and Progledanje by Simo Brdar, as well as animated film Sesir by Andrej Janevski and a short fiction film Bakica hoce kuci by Bojana Starcevic was screened within the Show. 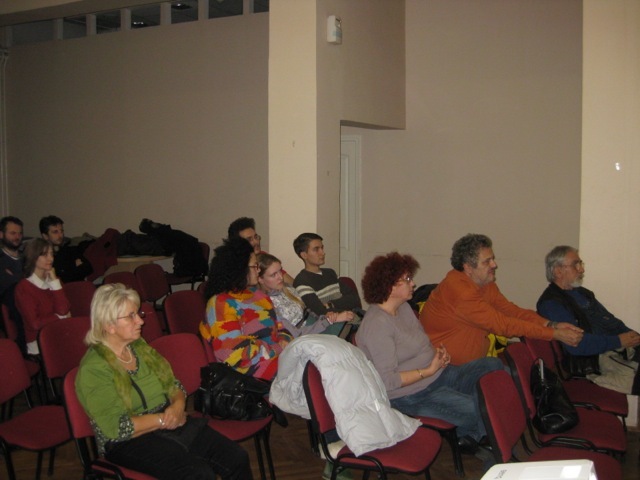 During December, the chosen films will also be screened in Novi Sad and Gornji Milanovac. 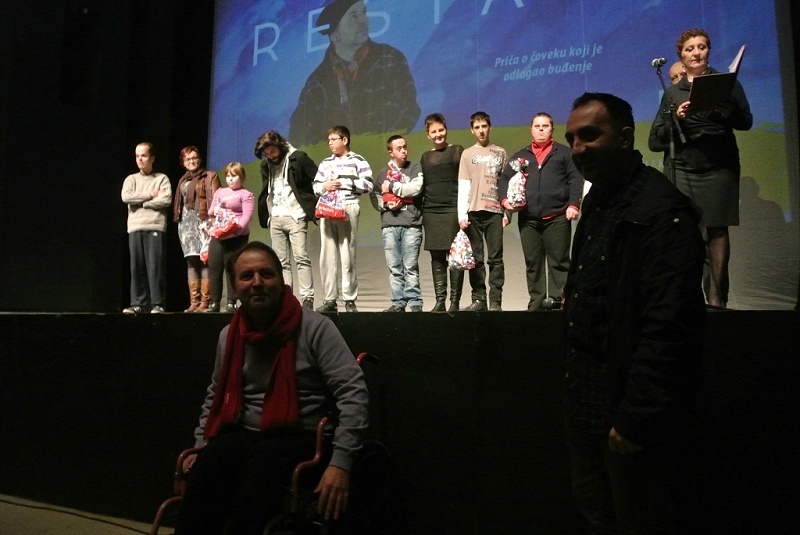 Film Restart was screened in Uzice (National Theatre of Uzice) in the organization of the Association of multiple sclerosis in the Zlatibor District and on the occasion of the International Day of Persons with Disabilities, on 3rd December 2014, at 8 p.m. 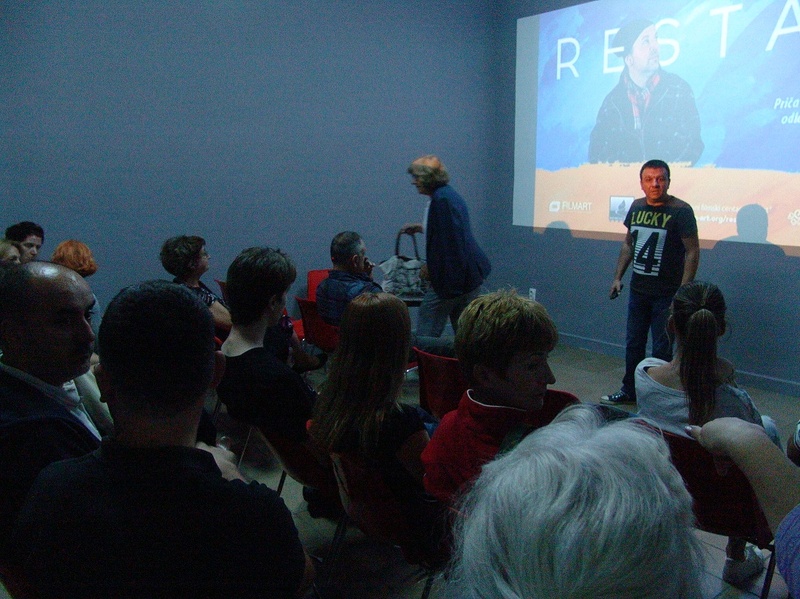 Documentary film RESTART was screened in a crowded movie teather of the Cultural Center of Pozega, on Saturday, October 18th 2014. 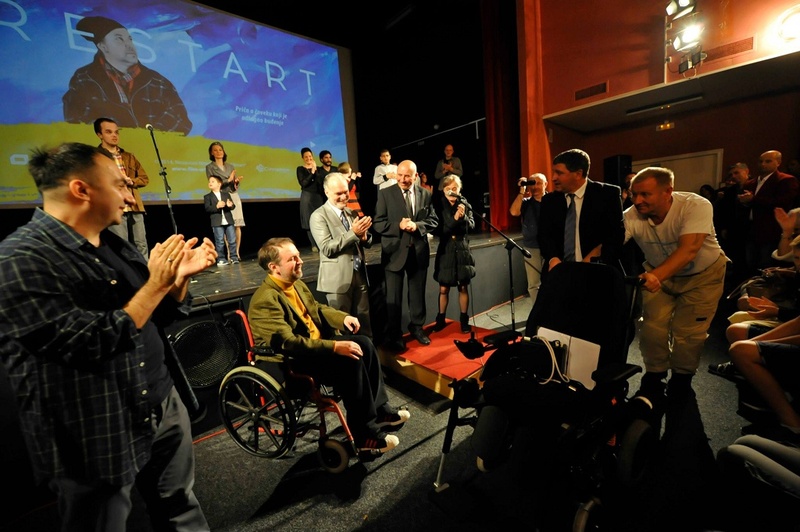 After the screening and presenting of the film crew, Milovan Micovic, the president of the municipality of Pozega, and Roland Penichoux, a representative of the Secours Populaire Françias, presented a gift to Darko Babic, the main character of the film. Secours Populaire Françias gifted Darko electrical wheelchairs which will help him move easier. Due to great interest, another screening has been announced, and it is scheduled for October 21st at 8 p.m. in the of the Cultural Center of Pozega. 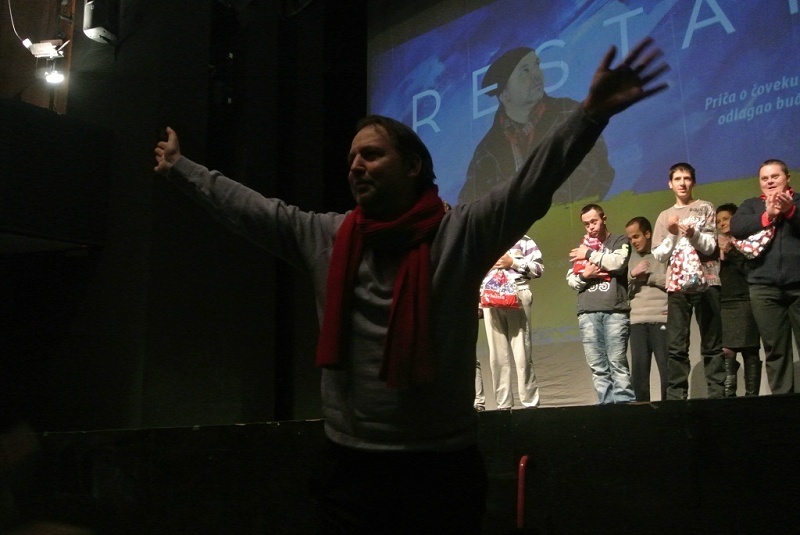 After the screening, Dejan Petrović, the director of the film „Restart“, explained the idea of his film, but also presented „Interaction“ to the audience. 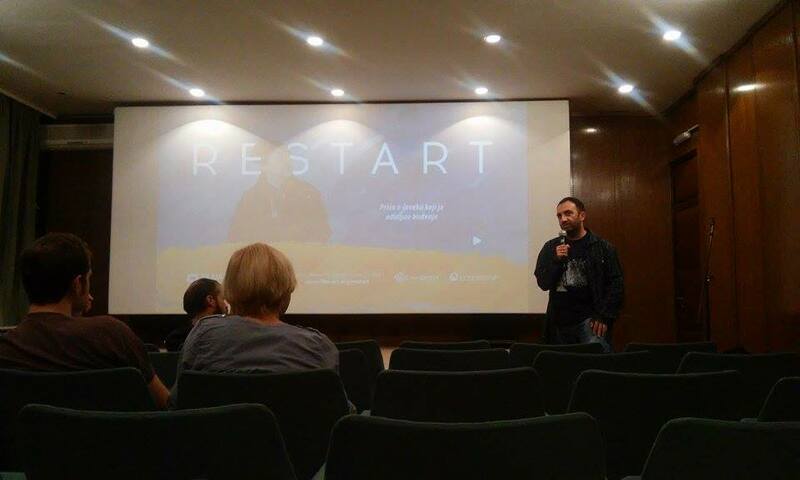 The premiere of the documentary film RESTART, by Dejan Petrovic, held place in a crowded hall of The Cultural Center of Belgrade on Wednesday, October 1st. 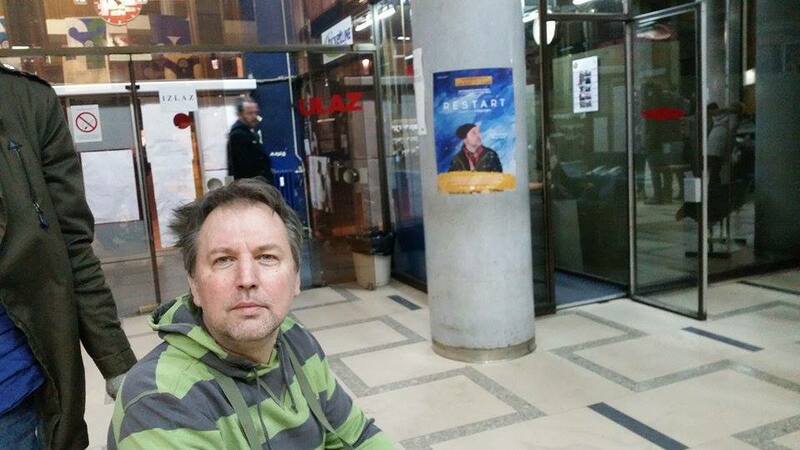 A documentary film is about Darko Babic, a painter from Pozega, who accepts an invitation to exhibit from a gallery in his townafter a ten year passivity and self-isolation. And with that, a ten-month process of preparing the exhibition starts, but also a doubtful period of battling with passiveness, habits and his own limitations. Accepting that invitation he accepts the risk of leaving the walls in the gallery empty. 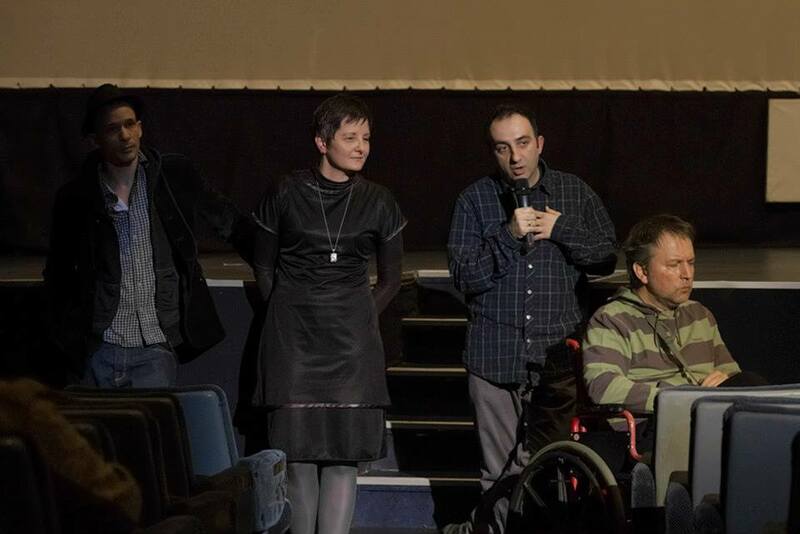 After the screening, the crew of the film was presented to the audience, and the youngest characters of the film, children from the Associationfor cerebral palsy, polio and plegia from the municipality Pozega, received the biggest applause, apart from Darko himself. The film “Restart” was produced by The Independent Film Center FILMART, and with the support of the Film Center of Serbia. After the premiere, film is expected to be screen on domestic as well as festivals around the world.